It was in the year 1975 that the founder of YWAM, Loren Cunningham and the founder of Campus Crusade for Christ, Dr Bill Bright had lunch together and they were wanting to tell each other what the Lord had spoken to them. To their utter surprise, they realised that they were both given the same message - to change the world, they must focus their attention to transform the seven mountains of society. These mountains are Religion, Family, Education, Media, Entertainment, Business and Government which we want to see the church move into and start to influence them like never before. 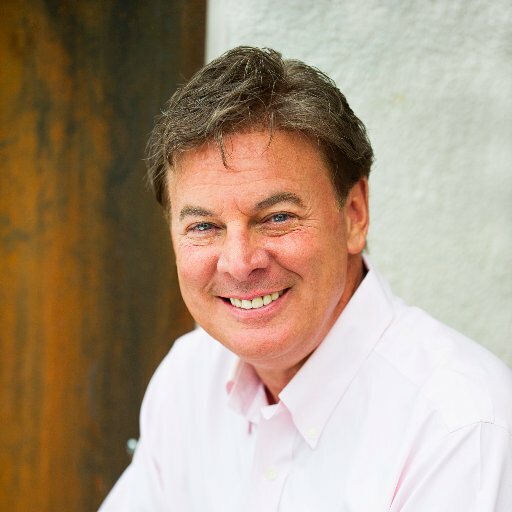 Dr. Lance Wallnau is a premiere speaker on this seven mountains and cultural transformation. We believe that “Kingdom Wealth Conference” is going to be one of the key that will unlock and challenge the church to position herself to receive every resources and wealth we need to accomplish this assignment as we arise and shine together to influence the Seven Mountains of Culture and experience nation transformation! 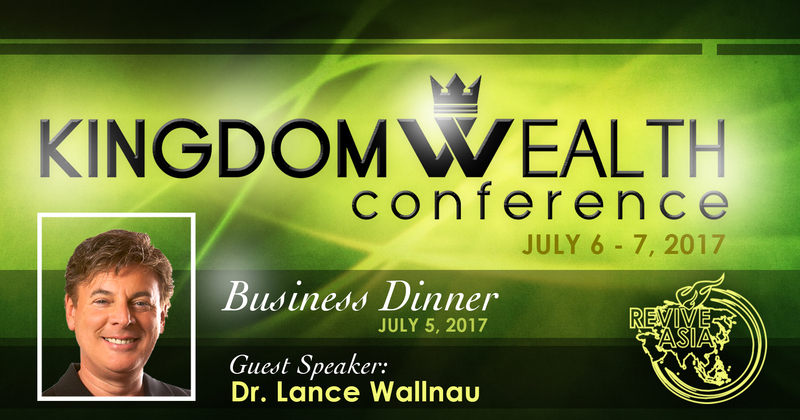 Dr. Lance Wallnau is an internationally recognized speaker, business and political strategist. USA Today reports that he is one of only three evangelical leaders to have accurately predicted Donald Trump’s Presidency. Dr. Wallnau’s best-selling book, “God’s Chaos Candidate” is credited as being the catalyst that mobilized thousands of Christians to vote for Donald Trump and contributed to Trump’s unprecedented election victory. Dr. Wallnau is a premiere speaker on the subject of cultural transformation and the seven mountains. He delivers his message of transformation with relevance, wit, and intensity. Lance has shared platforms with best-selling authors Ken Blanchard and John Maxwell, and lectured at universities from Harvard and M.I.T. to the London School of Theology. Merging a thirty-year background consulting in business and the non-profit sector, Lance’s intuition inspires visions of tomorrow with the clarity of today—connecting ideas to action. His students represent a tapestry spanning nations and spheres: from CEO’s and HBO comedians, to professors and pastors, to one of Donald Trump’s winners of The Apprentice. Lance is dedicated to the task of meeting with principal leaders in key sectors to bring transformation to nations. He was reported to have been prophesied by prophet Bob Jones that he will carry the flag of the Seven Mountains and End time Wealth Creation! Pay the registration fee via bank transfer or at the registration table later.